... to name three more I can think of off the top of my head. More would surely follow were I think about it for any length of time. No exclusive list of verbs will satisfy any learning requirement, nor for that matter, any learner. Each person engages the material in his or her own way. Online learning is first and foremost about personalization. If properly done, the time and space seperation of these items are kept at a minimum and are seemless. I like to pause between steps. I think learning should occur in a diversity of places. We don't need to focus and cram any more. We can distribute learning through time and space, matching the structure of learning more closely with the structure of perception. Currently, just about every discussion I have seen on this list surrounds the first three or four of the the list above. Indeed throughout our educational system the last three (experimentation, creation and implementation) are completely neglected! Why? Tradition? Economics? I am not sure. ... and yet when I see such diverse entities as student web pages, robot sumo, matchstick bridges, student-run enterprises, online journals, and so much more, it seems transparently clear that students do indeed engage in experimentation, creation and implementation. Looking at the courseware and student discussions is not enough. We need to look at what students are actually doing, rather than what we think they might be doing, if we are to appropriately categorize their learning activities. No. I don't like that dichotomy. It sets up a polarization where there is none. It encourages a dualism where there is a pluralism. Learning is a process of engagement. to name a few dimensions. Learning is mediated via various modes of engagement. Some modes of engagement, such as web pages, discussions, or this list server, are computer mediated. Others occur in a face-to-face environment. Others consist in hands-on-clay, a physical interaction with the domain of enquiry. No process of interaction is entirely 'push' or entirely 'pull'. Elements of both are always present; the nature of engagement is that there is an interplay occurring. Engagement is a transient process - interaction ebbs and flows, at times intense, at times slow and meditative, at times absent. The need for interaction, and the nature of the interaction - push, pull, online, hands-on - varies through time and space, and with the state of the learner and the environment. To suppose that one picture of learning works for all people at all times and in all places is folly! I won't - yet - enter into the 'learning styles' debate which is raging on DEOS, except to observe, that even in my own life, I want one learning style in the morning and another in the afternoon. I am prepared to engage the material in a slow, measured pace on a Monday, at a more frantic and interactive pace on a Tuesday, and in a quiet, receptive way on a Sunday. Examining a course won't tell us whether 'higher-level' learning is taking place. 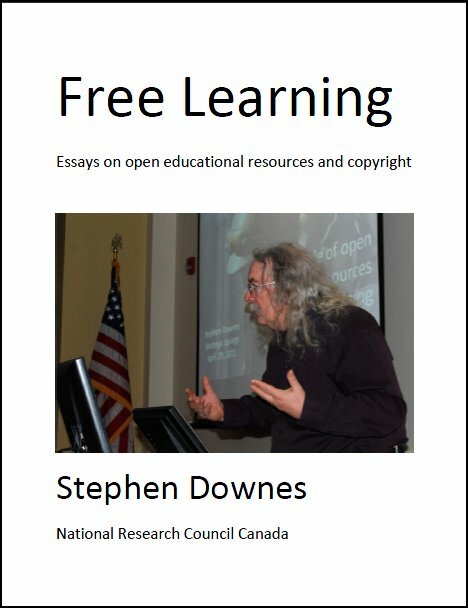 Learning - even online learning - occurs as much outside the learning domain as within the course or instructional context. To say that students are not experimenting, creating or implementing, we should have to examine all aspects of their lives. ...When the web started I explected to see amazing and brilliant learning environments in all sorts of disciplines. I was convinced that the web is the educational revolution we've been needing for some time. But no. Instead we the same old crap. Students passively sitting in front of computers watching Java applets show them something or reading web page after web page, or sitting on chat sites or bulletin boards communicating with three words sentences. But - you didn't expect internet architecture to supply the components of learning you feel are missing, did you? That's like expecting ATM technology to replace the mising dollars in my bank account, or like expecting my electronic organ to fill in for my tone-deaf ear. Good - even great - online teaching will not be - will never be - built - because you do not build interaction. You enter into it, like a warm bath (shades of McLuhan), like a familiar suit, like a comfortable home. The online materials are only the tools and components of online instruction. They are hammers and screwdrivers and saws and doorframes and kitchen cupboards and furnaces and wall-to-wall carpeting. They do not - cannot - constitute a home. The pausing, the pacing, the pushing, the pulling, the selection, maybe, of this movie, that online resource, such-and-such a project -- all these occur in a dynamic fashion in the classroom, and indeed even to a large degree in online learning. Great teaching adapts and flows. The more personalized, the more context-sensitive such adaptations become, the more full the educational experience becomes, the more like a home, the less like a pile of tools. Views Today: 0 Total: 250. Last Updated: Aug 21, 2018 8:57 p.m.